Drones are taking over, and we better be ready for it. Drones are more prominent than ever. More and more people are buying quality drones like the MJX Bugs 5W Drone as a form of entertainment. It seems like using them to help businesses were just an unbelievable rumor we heard not too long ago being whispered in the streets. 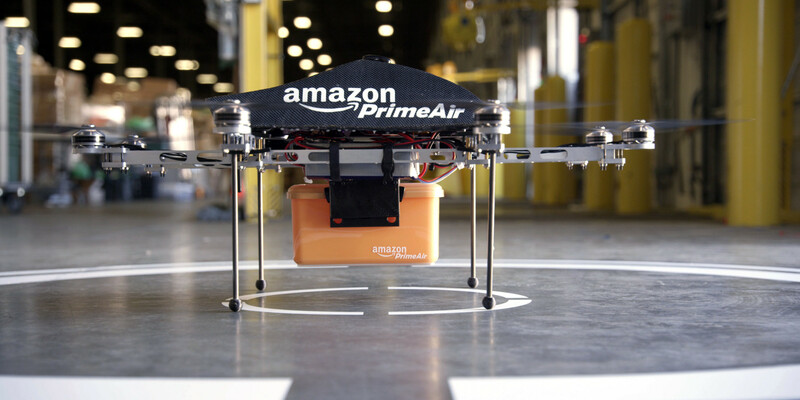 That was until Amazon announced that it would be utilizing drones as a new delivery service. On April 8th Amazon’s request to begin testing it’s new model of drone in the U.S. was quickly approved by the FAA(Federal Aviation Administration). It’s previous model, which is now outdated and has been improved significantly, had taken 6 months of anxious waiting in uncertainty. This is huge news for Amazon Prime users, because it means that same day shipping by air is just dawning on us. Drones in the delivery service aren’t the only areas we can expect them to be surfacing however. A farmer in New Zealand has been using Drones to herd sheep. Michael Thompson is a 22 year old farmer who built a quad-copter that flies and herds his sheep in a fraction of the time that it used to take. AIG just recently decided it would be a better option to use drones instead of people when inspecting roofs. A drone could fly up and inspect the area avoiding any injury. AIG’s drones are still operated by people from a close distance because requiring approval for an unmanned air vehicle would take awhile via the FAA. You can pretty much bet on drones becoming standard in the next few years. They’ll be operating around us frequently. This could cause new precautions and new adjustments on people’s parts to get used to the idea of a robot flying above us with a job. Drones are here to stay and they already have more uses than you’d think.